What’s Up Pizza’s?! This week we have a show of comedic proportions because we have not one, but two special guests in-studio with us this week. 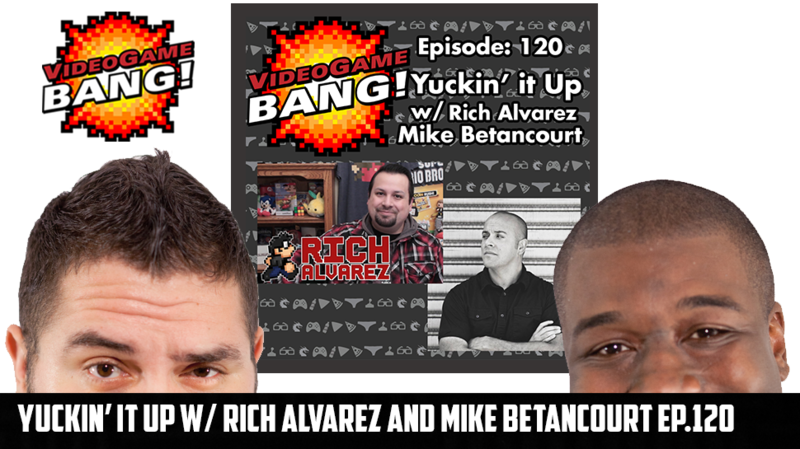 Completing what is now a trilogy of VGB appearances is Stupid Mario himself: Rich Alvarez. Rich is a popular local YouTuber that is kicking of his latest season of the popular internet series Stupid Mario World. Joining us for the first time ever is local 11-year stand up comedy veteran Mike Betancourt! As hard as Cory and Aaron try, we are not professional comedians so this week we bring in the experts to talk about a wide variety of topics including ESPN covering E-Sports, Mike Tyson joining the UFC (In a video game), and Star Wars pushing the date of Episode 8 back. We also talk about WWE Professional Wrestling, The Punisher, and so much more!